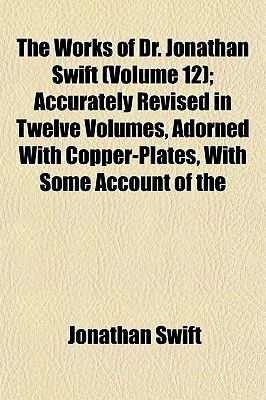 Title: The Works of Dr. Jonathan Swift: Accurately Revised in Twelve Volumes, Adorned With Copper-Plates, With Some Account of the Author's Life, and Notes Historical and Explanatory Volume: 12 Publisher: London: Printed for C. Bathurst Publication date: 1766 Notes: This is an OCR reprint. There may be typos or missing text. There are no illustrations or indexes. When you buy the General Books edition of this book you get free trial access to Million-Books.com where you can select from more than a million books for free. You can also preview the book there.